Scared with the idea of losing your keys, wallet or mobile phone? 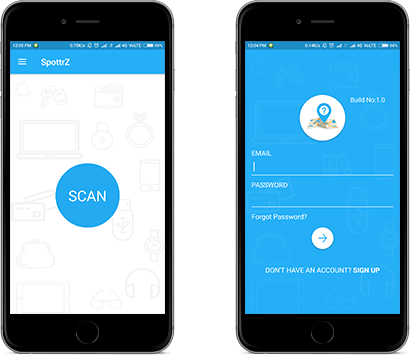 Spottrz is an Android Application which frees you from all the worries about misplacing or losing your valuable things. It is a wonderful Android application which can work with Bluetooth tracking devices introduced by any manufacturer. The application can locate the Bluetooth tracking devices nearby. The user needs to select the device and the system would identify its Mac address and register it. If the user is trying to register the tracking device which is already owned by someone else, the owner would receive the request from the user for accessing the device. It depends on the owner then, to accept or reject the request. When the application finds the registered tracking devices nearby, the system would send the notification about the device location. On clicking that notification, it shows the complete detail of where the device is located on Google Maps. 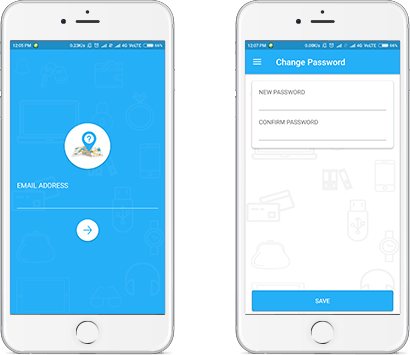 The application registers the devices with close proximity with the users on the basis of RSSI provided by the Bluetooth Low Energy tracking device. 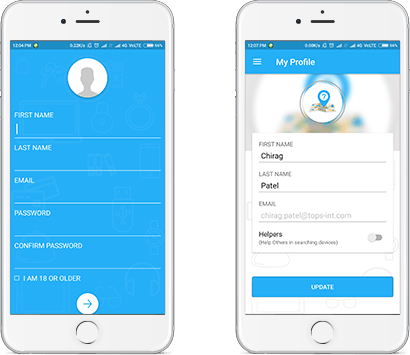 You can assign names to different tracking devices like wallet, purse etc., which you have already registered with the application. Each brand of tracking device has an option to get connected with Android phone through BLE technology. The service UUID identifies “brand” of device with device ID based on MAC address. All Android Phoneswhich are having the Spottrz App Installed; constantly keep on searching nearby Bluetooth tracking devices. The system records all the nearby devices and updates their last location as per the MAC address of the locater hardware and then passes on to AWS Server. If the application is not able to find the location of the missing tracking device, the user can press “Notify Me Button” The application will then notify the user about the location of the missing item if it is found at some other particular place. On clicking that notification, system will show the location of the missing device on Google Maps. The Andriod team at TOPS used Andriod Studio to develop Spottrz App. Let's talk to convert your app idea into reality.